A Modernist floor lamp. 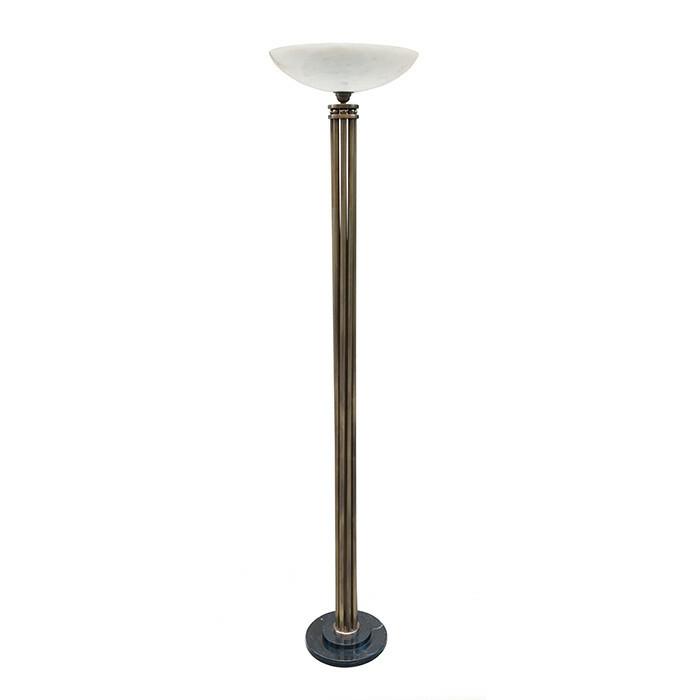 Patinated brass tubular rods on a marble base with an alabaster shade. Dimensions: H:72 Shade Diameter : 15½ Inches.